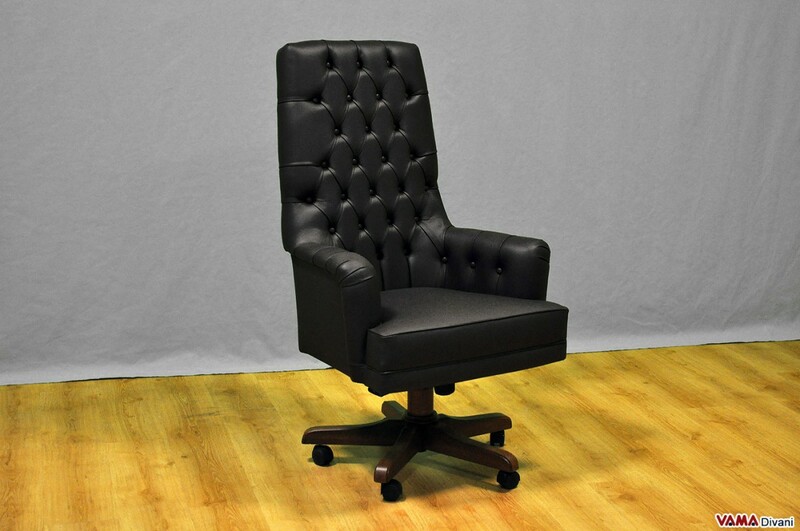 Very stylish directional Chesterfield armchair, characterised by a luxurious and traditional design, an extremely comfortable armchair thanks to its very high back, which is even a comfortable headrest, its soft upholstery and its several adjustment levels. 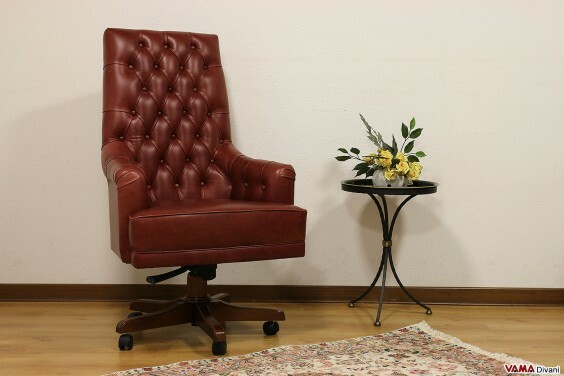 Perfectly directional, this armchair presents, at its base, a valuable wooden structure, enriched with 5 small wheels, thanks to which the armchair can be easily moved on the floor, as well as to be rotated on its same axis. 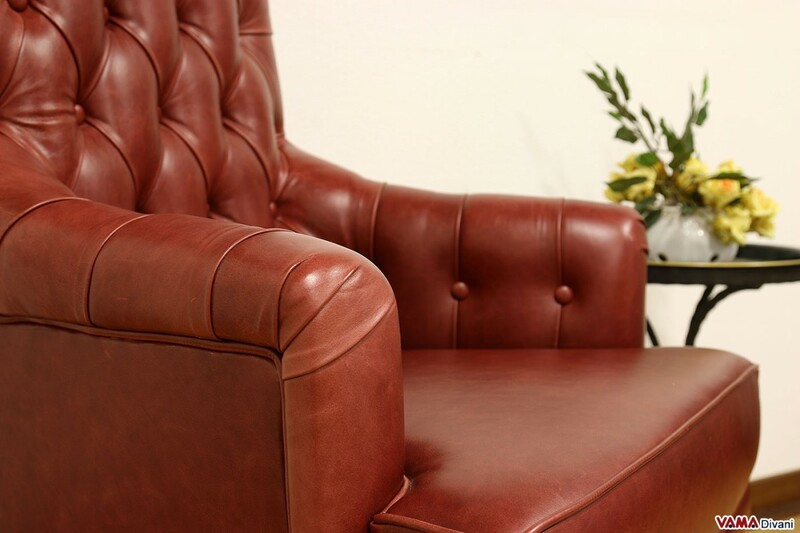 A very stylish and refined piece of furniture, a beautiful armchair that VAMA Divani defines as a real "presidential armchair." 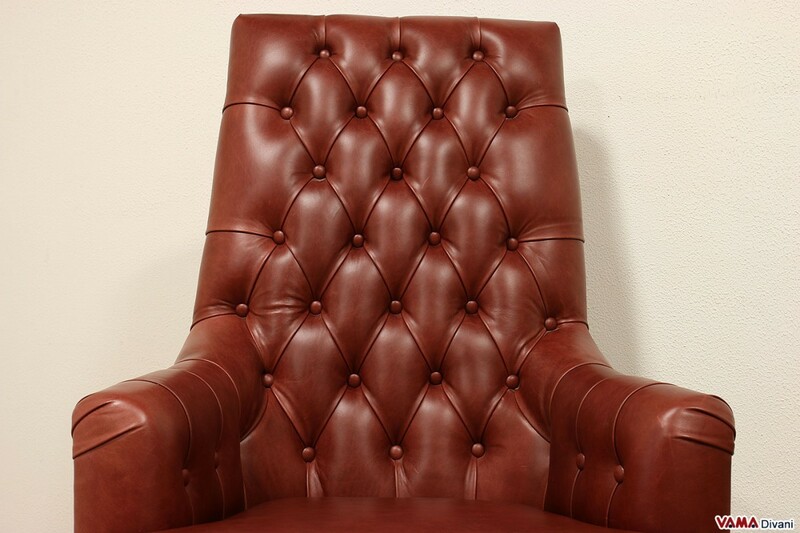 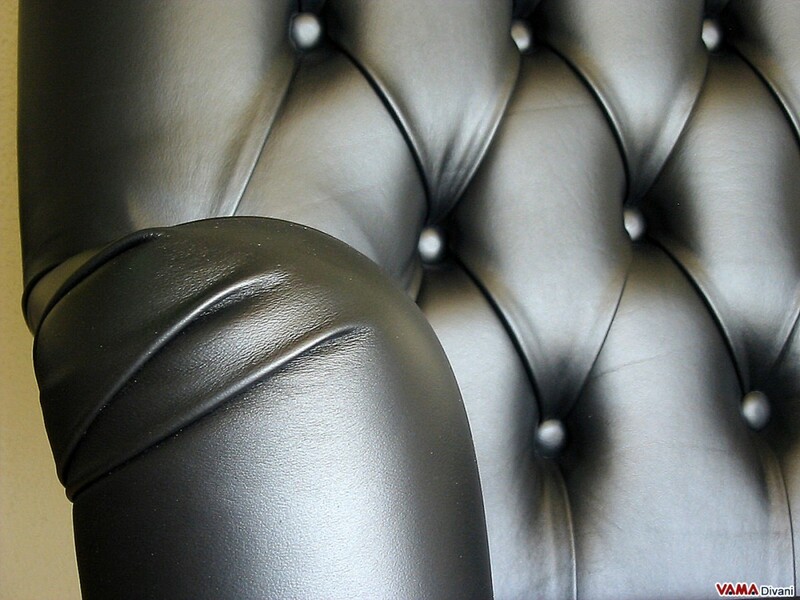 Upholstered in high quality leather, this armchair is embellished by buttoned details, the typical decoration of the Chesterfield sofa, which covers all the back and the inside of its slightly lowered and comfortable arms; its seat, just like in a Chester sofa, is rather smooth, without special decorative elements. 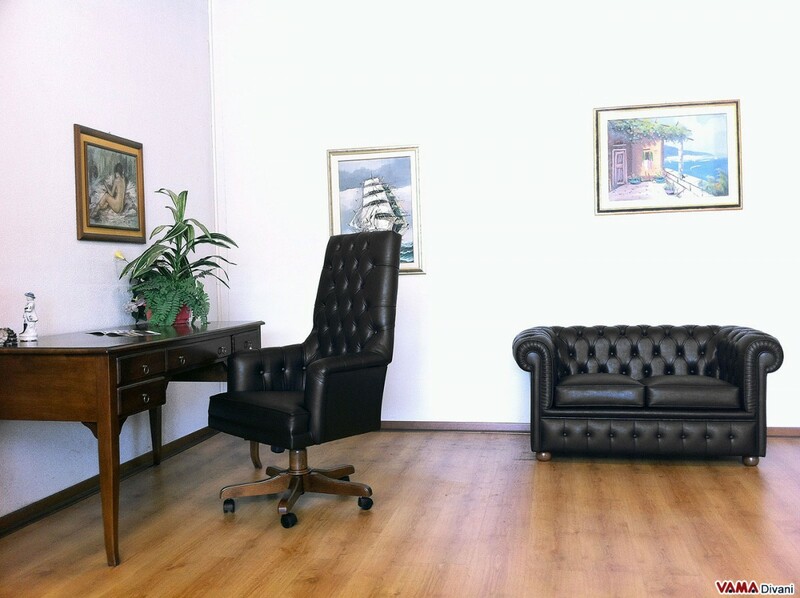 Absolutely perfect in all classically furnished spaces, the presidential Chesterfield armchair by VAMA Divani enhances its luxurious and classic style especially if combined with a traditional desk.